? ?Inter’s ongoing search for a high-profile right back signing this summer took a twist at the end of last month when they failed to activate their €35m option to sign loan star ?Joao Cancelo on a permanent basis. That clause for the Portuguese full back expired at the end of May, and a report from ?Gazzetta dello Sport (via ?Football Espana) claims that the San Siro giants have now turned their attentions to ?Aleix Vidal as an alternative.
? Golovin è da Juventus: il primo asso è russo! Vidal is a versatile and athletic wide player who is able to play both at right back and on the right-hand side of midfield. 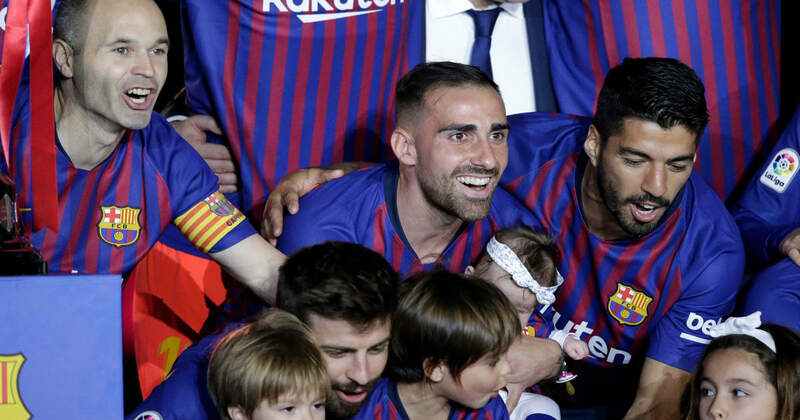 Since moving to the Camp Nou from Sevilla in 2015, the Spaniard has served largely as a utility player for ?Barcelona. Unable to truly stake his claim in the Catalan side’s first team, and now aged 28, the opportunity of more regular action in Milan could provide an attractive exit route for the Spaniard. Inter finished fourth in Serie A under Luciano Spalletti last season, meaning they will feature in next season’s Champions League, and therefore the move would enable Vidal to continue to ply his trade at the highest level, both domestically and in Europe. A move to a club of the Nerazzurri’s stature which can offer more likely chances of regular first-team selection could be an ideal next step for Vidal. The Spaniard featured only six times for more than 45 minutes last season with Barcelona. Vidal is apparently seen as a more ‘affordable’ option for Inter than the likes of Cancelo in their right back pursuit, meaning that the move could be of great benefit for all parties. It is said that the Milanese side are happy that Vidal’s style adequately replicates the qualities of Cancelo, and therefore are willing to press ahead with the move. Inter are apparently hoping to strike an initial one-year loan deal, with the future option to buy for €10m, though Barca would supposedly want €15m in any such agreement.